If you are a man over the age of 60 and you are wondering if it’s too late to lose weight, think again. It’s never too late to lose weight, and you will always gain some benefits from doing so. Even when you are over the age of 60, you can have a successful go at losing weight and getting into shape. You never know, you may even make those years your best years yet! As a personal trainer in the Vancouver, Washington area, I have worked with many baby boomers. I have seen and heard about the struggles of slowing metabolisms and expanding waistlines once people surpass middle age. But I’ve also seen people over the age of 60 stick to a plan that I help them devise, and I’ve seen the wonderful results they achieve from their efforts. There is no one-size-fits-all formula for losing weight over the age of 60. It comes down to consuming less calories than you are burning. Keep in mind that a pound equals 3,500 calories. Therefore, you need to consume at least 500 calories less per day than you are burning by living and exercising. That would give you a safe and healthy one pound per week weight loss. If you want to lose two pounds per week, you would consume 1,000 calories less per day. You shouldn’t lose more than 1-2 pounds per week, though, so that you keep it off long term. It’s also important to look at the amount of physical activity you are doing per week. You won’t have to cut as many calories per day if you can boost your physical activity level, which will burn more calories. You should be sticking to a program that includes both cardio exercise (e.g., biking, brisk walking, running), and weight training exercise. The cardio will burn calories, help keep your lungs healthy, and help keep you in a good mood. The weight training will help maintain muscle and build new muscle. However, you can’t exercise your way out of a bad diet, so it’s important to make sure you are eating healthy, too. Now is the time to boost your protein intake. Opt for lean protein sources, such as lean meats, tofu, beans, nuts, eggs, and seeds. Also, be sure to load up on the fruits and veggies and whole foods. Get out of the habit of eating empty calories, such as snacks and processed foods, and be sure to stay well hydrated. One of the most important things to remember as you do the things above to lose weight, is to remain patient. Losing weight over the age of 60, or at any age, isn’t something that happens overnight when done in a healthy way. You have to be patient, stick with the plan, and appreciate the benefits as they come. Work with a personal trainer if possible, so that a plan can be devised specifically for you. It’s never too late to lose weight, and losing even 10 percent of your body weight can do a lot toward providing you with healthy benefits. It’s well worth the effort, even after the age of 60! If you are a man who is over 40 and you would like to lose some weight, you are not alone! There are men around the country who are struggling to lose what is often referred to as the “dad bod.” They have gotten comfortable in their daily routine, and slowly over time extra weight has crept up on them. The good news is that you can lose weight, even over 40. Keep in mind that healthy weight loss is losing only 1-2 pounds per week. You should not try to lose more than that, as it wouldn’t be healthy to do so, and there would be a good chance of you gaining it back. The key to losing weight is to burn more calories than what you take in each day. If you burn less than you take in, those calories will be taken from your stored fat. If you take in more calories than what you burn, it will be stored as fat. A pound equals 3,500 calories. Therefore, in order to safely lose 1-2 pounds per week, you would aim to trim 500-1,000 calories off your diet per day. Watch your alcohol intake and keep it to a minimum. While many men find this part to be a challenge, a 12-ounce beer has around 100 calories. Having a few beers can add a lot of calories, and no nutrition, to your diet (not to mention that it will help lead to the beer belly so many middle-aged men have). Be sure to eat plenty of good protein, including leafy green vegetables, wild-caught seafood, pasture-raised chicken and pork, and grass-fed beef. Getting enough protein will help ensure you are not hungry between meals and that you have plenty of energy throughout the day. Be consistent with having an exercise and workout program. To ensure that you are on the right track, work with a professional trainer, who will create a plan just for you. Don’t look at the total amount of weight that you want to lose. Rather, focus on just making a change, even with it being slow and gradual. Research shows that even losing even 5-10 percent of your body weight can have a positive health impact. 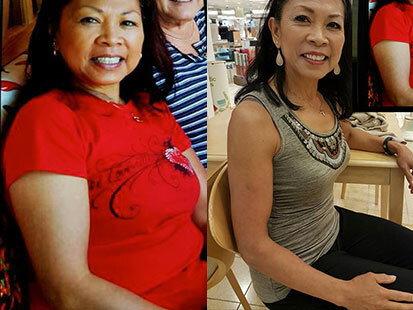 I have helped many men over the age of 40 in the Vancouver, Washington area to lose weight. My professional training practice in Vancouver specializes in doing just that!